If you've ever been inclined to feel sorry for yourself or dislike any of your physical attributes (guilty!! ), watch this video and adjust your attitude. Just get some Kleenex first. Nick is such an inspiration! God has truly blessed him with a wonderful message! I cry every time I watch him! Thanks for the warning, Patrice. That was truly a moving video. 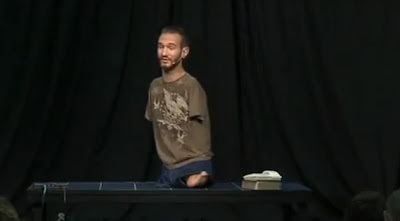 The man is doing more with his life than most of us do, and we have all our limbs. The Bible says that to whom much is given, much is expected...but after that video I think that there may be a corollary: To whom little is given, much can be accomplished. Ottar, are you saying Folsom Prison is in Nevada? Did they move it? I'm confused...as usual. You are so right. I have seen this or another of Nick's videos many times, and they always get to me. To anyone who hasn't seen one, I say "watch one, and feel sorry for yourself. I dare you." Talk about feeling Convicted! I am the luckiest man alive. "Talk about feeling Convicted! I am the luckiest man alive." is mine. Is there any way to add my name to it? Nick is definitely a true inspiration. I just started reading his new book, "Life Without Limits." I think the world would be a much better place if each person would really count his/her numerous blessings on a daily basis. There is so much to be thankful for! !